Kateryna Degtyar. "Richard Freeman - the most philosophical ashtanga teacher"
Kateryna: How did you start to do yoga? Richard: I was 18 years old, when I got interested in yoga, I just went to college then. I have read about Indian philosophy, so I was interested in it, but there was no yoga teacher, so my first teacher was a Buddhist teacher of a Chicago center. So, I was on my own than. Kateryna: We have read that you used to follow Hare Krishna movement and also that you were in Iran for some time, that you studied under Pattabhi Jois and Iyengar. Tell us about those years please. Richard: When I was in Iran, I first studied under Iyengar teacher. I was not very impressed first, but I was impressed by Iyengar. That was in the year 1974, a long time ago. Probably, 13 years I had been in Iyengar yoga and then there was Pattabhi Jois. And what made you change your way? Why did you change the school of yoga? Richard: Meeting Pattabhi Jois made me change the school. He gave me more things to do internally, but I don't think that I have left Iyengar, because my way of doing Ashtanga yoga is very internal. This is what I do: I take two systems and put them together and so, you know, when, people think I do Ashtanga yoga, what they are thinking is not really same thing that I am doing. We often see now that Western teachers, even those Western teachers who were starting to study yoga in the 1970-80s, try to teach the classical, say 1st, series of Ashtanga yoga in their own way. They seem like people who lack space for creativity, who want to make their teaching somewhat special, but have to stay within the boundaries of certain set of asanas. Richard: I do not know a lot about what teachers are trying to do, but, I think, a lot of people are marketing themselves. They have not really studied with the Teacher, or Guru, very deeply which is very difficult, because Teachers often make you do the things you do not want to do. A lot of people are becoming inventive before they have actually studied. I consider myself also inventive but I try to study, you know, Tradition, various scriptures in Sanskrit; also I have studied with a number of different Teachers, because I do not think there have been a lot of points of view transmitted by one teacher. It’s very difficult to feel this edge where you can follow the series given by the teacher, and where you can be creative. How do you define the readiness to teach in your own way, to be creative? Richard: Sometimes, people want to be creative, but this is mostly external. The thing is that we have to be creative anyway, because if you just follow the system blindly - you miss the main point of it. The systems are actually the tools, they have the lineage and you have to follow those through the schools, all the way up through the history. Many teachers also teach meditation now, they teach kirtan, and many other practices while they do not maintain any traditional practice transmission lineage. May be some kind of “Western Hinduism” is starting to emerge? Richard: I do not know how you can understand this at once. Sometimes you have to use your intuition. How about your gut feeling that something is wrong? Sometimes you just know in your belly that something is wrong. And sometimes this something is wrong. But also there are a lot of people, who are just taking advantage of innocent students. But when you started to do yoga - how did you know which teacher to follow and which not to? Richard: Well, I have met many teachers who I thought were great. But then I was very disappointed with them after some time. And these were usually Indian teachers. But I have known many friends who became Western teachers and degraded, because, for example, they could not resist the sexual advantage that they have over their students. And then some Indian teachers have had the same problem. The others were good teachers except they did not have a deep understanding. Because they are more or less religious fundamentalist and they want to convert you to become a Hindu or something. This experience was not really as deep as you were hoping that this experience would be. Other teachers are destructed by money and fame. And even if they are good teachers, may be though, something will happen to them; someone will come and offer them too much money or fame. And they will loose their quality after all. It's a dangerous world right here. One day this happened to Jesus. Satan came to Jesus and offered him a kingdom. And, I think, this happened to all yoga teachers in different times. This is how temptation comes. This is why a teacher should have friends or other people who give him feedback, who criticize them. Those friends, who are not their students, friends who make fun of them. They need to have that. But sometimes they cut their friends off and they almost drawn themselves better on students. And they become what we call Narcissus - people, who fall in love with themselves. And they cannot bear any criticism; they are, you know, like Gaddafi, they do not allow any criticism. While in a healthy yoga lineage they always have at least the one who is equal to you, who laughs with you, or who tells you that you are doing something stupid. And even if you look at the Buddhists today they all have, even the big lamas, have other lamas who are the teachers, so they laugh at each other, and that helps them going way off. What was the most useful criticism that you have heard from your friends? Richard: Let me think. May be, that I am too strange as if I came from a different planet, you know. “Oh, Richard, he can do all the things, he is an alien”. And so, I need people to bring me back down to earth so that I could communicate better. I always have people around to tell me that I have to make it more simple, or make it more practical, - and that's good for me. There are people who make mystification or a big secret of yoga. Richard: It is enough of a secret in it anyway, and you don't have to make it. It's a very fine art. But people like to hold it to themselves like a big secret to have power over the people who may want to know this secret. But, you know, it's kind of like physics or mathematics, it's difficult to understand and so it's meant like secret. But anybody can understand this if they are interested. Many Western teachers start giving meditation of Vipasana, a Buddhist meditation, while traditional Indian yoga has it’s of meditation techniques. 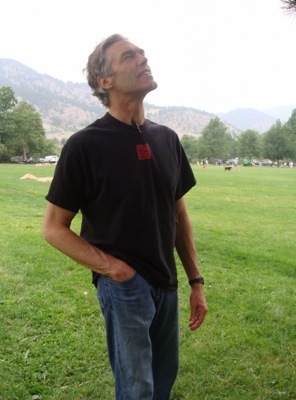 What can be the reason, when we cannot align asana, pranayama, and meditation into one lineage? Richard: I think maybe it's fine. Because if you are going to practice meditation in Hindu lineage you are probably going to be chanting a specific mantra that goes around a Deity, in other words you have to believe in Deity, and you would have to go very deeply into that specific technique to get to deeper stages of meditation. In Buddhist tradition they are much more skilled in teaching meditation just for what it is, so it's much more in line with the way that Yoga Sutra teach this meditation. So, I think, the introduction of Buddhist meditation techniques into the basically Hindu yoga is cool. It's actually good, because I think it's like a revival or reawakening of Hindu or Indian philosophy through the Buddhist practices. I have a friend, who says that Buddhism is really Hinduism that has been simplified down so that it could be exported, so that anyone could do it because you become free, free of your religious believes. And from my experience Buddhists have practices that are really simple, very row, and it really helps. I am very grateful to my Buddhist teacher. So, if people really want to get into a deep and grounded meditation, probably the best thing for them is the Buddhist teacher, or someone that had been influenced by Indian or Hindu teachers and that have been through revivalism understanding of a Buddhist tradition. Is it true only for the Western people, or is it good for any mentality? Richard: It goes through all over. Basically Hatha yoga practices are Tantric practices and so the meditation on mantra is Tantric, because it makes you meditate on a specific sound or a specific form. And this is all well and good except for if you do not understand the greater context, the greater picture, it does not really get underneath your ego structure, it does not get to you to see the way, how your mind works. And so the basis of mindful practice and the basis of higher meditation described in Sutras allows you to watch your mind, how it constructs the thoughts, constructs problems. I think, where these two traditions meet each other that's where you get into this stage in fact. Just the same way a lot of Buddhists are very interested in Hatha yoga, because that's not a very developed part of their tradition or it is kind of a lost part of it. I think, in general, the Hindu tradition needs to bring those Buddhist brothers and sisters back. And the same thing with any two religious groups – if they communicate, they learn from each other; they all have weak sides, weak points. Do you think there could there be some holistic tradition, lineage that would have everything within itself? Richard: Well, they are such in fact, but then the ego comes. As soon as that happens, they are not such any more. And if you look at the Yoga Sutra, there is an attempt to make a description of a universal pattern in all religions and so as it was a non-divided Vedanta into all religions. But then teachers come, who don't really understand it. So that they become sectarian and they start fighting, and they try to take over other schools, which they have not really studied. And a lot of people would criticize other schools that they have never studied. It's just like the Christians criticize Jews, others criticize Muslims... If you don't know traditions very deeply, criticizing them is stupid. So, within the Buddhist and Hindu worlds there are these broader holistic schools that people are often unaware of how they operate, because they are impatient and they want to teach too soon and then the ego comes and says: “I have these realizations. Shiva is everything.” And then they want to teach that. Then, they all gonna learn that we all are in a hard way.)))) But I think it's good when people communicate, when they study back and forth between traditions, they will become much more intelligent. Otherwise there will be those small groups with cult. And it happens in a lot of places, where one teacher becomes a powerful cult-leader. And it's very sad. You just said that people want to teach too fast. But we see that in the Western yoga there are so many teacher training courses that stimulate beginners to jump into teaching. Richard: Yeah, taught by people, who never studied correctly. You know, this is the danger of what we call relativism. This is an idea, that states that everybody is already enlightened, so that you should just do what makes you most money :) And gives you the most power. It means that yoga as a tradition has no doubts. And there are so many teachers out there, who have never really studied or they studied about one week or something under a traditional teacher. And they have never read any of the traditional literature. Hundreds of years before people would study Upanishads for 19 year before the teacher would actually teach them the deeper kinds of yoga. That's the value of studying, the actual history of different lineages. But now, you know, you do a week-long training to become certified. As long as people communicate, this won't create a total disaster. Particularly, in America, there have been simply sects, that we all consider kind of tragic, where people have been very much cheated or exploited by the teachers, who have fallen from the path. And so many Indian teachers have fallen so that they have created cult, because they had all of these new foreign students so eager that they could not resist exploiting them. But I think, now we are entering a different age, a different time. For there is so much more communication because of the Internet, because of the Facebook. As soon as we speak of the different age, they say now it is Kali Yuga now, the new era that influences how we develop, how we study yoga. What do you think about it? Richard: Oh, Kali Yuga. There is medieval teaching saying that this is the iron age, the dark age, the Kali Yuga. And it was actually an idea that was created after the time of Buddha and after the time of Upanishads. And I think it was a teaching tool for kind of scaring people to keep them from abandoning their inner Dharma. And I am sure it is a terrible time, but it also is a great one. According to some teachers Kali Yuga is over, but if you are a Hindu fundamentalist – it is just the beginning of the Kali Yuga. The Buddha started it, Krishna left the planet, and Buddha started the Kali Yuga, and all these terrible teachings. But the Christians have some scary things too, about Apocalypse, and that also helps to scary people. And what is beautiful about yoga now is that so many people are interested, even though they don't know a lot about it. There are quite a lot of them around the world. That's really going to help people, and to help yoga a lot too..
As soon as there are so many interested people and we have so many teachers, who really are into yoga – why doesn’t it look like yoga in India, why do we still have a well distinguished Western type of yoga? Richard: There are a lot of people in India who say that if you really want to learn yoga, you should go to the West! Because, when I first went to India, no one was very interested. There were a few ashrams for yoga. Mostly, there was very little interest in it. But all of a sudden, in India, in the last 10 years all of these new teachers, fancy Ayurvedic spas, it’s coming to the TV now. It is coming back from the West, back to India. And it no longer belongs just to India. But still, people have to go back to the source material, which are the Indian scriptures, the Sanskrit scriptures, the Buddhist pallet scriptures. Because they have so much information, because there is so much practice. Because people with so much practice in the past shared so much information they had saved with the foreigners. And I hope, I think, people outside of India are just starting to learn enough about philosophy and history to actually get started to study the traditions. And one day they will reinvent it and will do their job. Speaking about the texts and the books, what kind of a book would you advise to read to every person, who practices yoga, to go into yoga more deeply, to be more conscious of not only the physical aspect of yoga? Richard: It depends on the person. Because some people have a stomach for philosophy, while the others just can’t stand it. We have a reading list on our web-site, quite a long one. Some of the books are easy and friendly, some of the books are very technical, difficult, and then - it’s a question of which translations you can get. Because on our web-site we have things that have been translated into English. But there are so many more languages. But the Upanishads, I think, have been translated a lot into various languages. And those are kind of the base, the earliest yoga texts, the Upanishads. And they are difficult to read. And what was the first book that you read about yoga? Richard: Oh, I first read two of the American philosophers in the 1840s - Henry David Thoreau and the Emerson. They got the first translation of the Upanishads and the Bhagavad Gita. So, it was from Thoreau that I got the idea, and then from them I read the Gita and the Upanishads. At that time I was in a high school, a teenager. But I was also reading philosophy, all kinds of Western philosophy. So, I had, you know, the stomach for it. And how many times have you read these books again after the first reading? Richard: Probably, three or four times I read the Upanishads. I teach the courses, and so I re-read them whenever I teach the courses. This must have already been 20-30 times. There exists a tradition, when a student would memorize the text, so that he would know it by heart, and then he would study what it means, - that’s the traditional way of learning in Buddhist schools. And what is the book that you are reading currently? Richard: I have a friend who did a translation of a Tibetan book and he is a Tibetan scholar. And he has sent it to me. It’s called “The Five Eliminations” and it is translated by Robert Berthon, a great scholar, who knows Tibet really well. And I am also reading a book on early Advaita Vedanta and Buddhism. Which is a very dense book and I don’t think anybody would read it. At the beginning of the interview you said that your friends advised you to be more simple, to make things understandable, and at the same time you speak very valuable things from the very deep books. Richard: Yeah, that’s the way my brain works. That is something that I can do. I found, when I grew up, some people have a talent for philosophy, for mathematics, - and they can see things. And once you understand it, it’s very simple. Sometimes, while comparing schools back and forth you have to enjoy dwelling into technical details. Because, if you go to a university, and you go to the philosophy department, anywhere in the world there are only a couple of old professors and ten or fifteen students, and they have the least money of all the departments in the university. Money go to engineering or computer science, where they have huge buildings, because all these people are interested in it. So, yoga actually belongs to the philosophy department. And it is amazing that it’s so popular. But, I think, that’s the beauty of the asana, because it allows you to explore the body, the depth of the mind, and that is what everybody has. It does not matter, where you are to share those same things. You go to any culture in the world and then, if you can get someone to do a little bit of yoga, they would love it, they would understand it. Even if they can’t explain it with the words, they understand it with their heart. It’s pretty amazing. I was teaching in Israel, a really crazy place for religion, but the yoga students in Israel are great, they love it. This is the way they can escape the atmosphere of so many religious people being around them. Can we say that yoga teaches how not to be religious? Richard: That’s exactly what I think, it frees you from religion. Recently, I happened to come across a very old scanned cover page of “Yoga Journal” somewhere in the Internet. This was the one from 80s or 70s, and there was not as much glamour as there is now in many magazines about yoga. Seems like they were absolutely different 30 years ago. Richard: “Yoga Journal” was very much an Iyengar thing. And then finally the people, who started it, sold it. 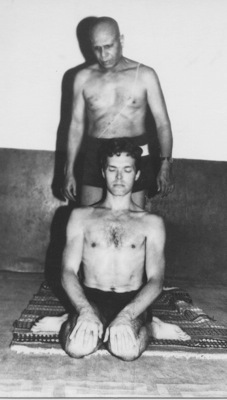 Then the man, who took it over, John Abbott, was more Iyengar oriented. Also he was a businessman, and he hired someone, who he knew was a marketing professional and who did not know yoga. She completely changed the magazine, so that the whole idea as you write the articles was to spot the advertisers. Sometimes I like it, sometimes I don’t like it. It encourages people to start their own schools of yoga after one week of practice. It’s very soft, soft yoga. We call it “Eight Great Girl Yoga”. You know, the thirteen year girls talk like a giggle to each other, - it that the feeling to get from yoga? But the other thing that we see that it does – it promotes yoga, it creates interest to yoga. Richard: It does, and that’s the great thing. So, I criticize them and I love them at the same time. Because if it were my kind of magazine, you know, there wouldn’t be very many people interested in it. But, you know, it’s a great experiment – yoga in the modern world. It’s a new experiment and I hope it works out. What are your own personal goals in yoga currently? Speaking of death, everybody in the yoga world is now trying to make a comment about Sri Sathya Sai Baba and that he left this world not so long ago. And I have seen many different comments, I should say. Richard: Sri Sathya Sai Baba was never interesting to me, except for the social phenomenon or religious phenomenon. I never had any attraction to him. Though, I know that a lot of people were interested in him. And then, I know that Pattabhi Jois, in particular, considered him to be a fraud. May be he was true, I do not know, I never met him. But I have friends, who are magicians, you know, they can do magic tricks, and they can do all of the tricks that Sai Baba did making things appear out of stakes, a very good magician. Even one of them went to him and got kicked out, because he could do all of those things. So, there is a lot of controversy. If you read or make a search ower the Internet, you will find out very strange things. But he was a big phenomenon in India. Particularly, he won so many people and so much money came in. Wealthy businessmen, you know, were going to him to get a blessing from him for their companies and corporate relations. Pretty crazy time. Giving that much attention to meditation and pranayama, you are currently more close to Raja yoga, aren’t you? Richard: Well, I think, Hatha yoga should be done as Raja yoga. That’s the way to do it. And I still love asana and continue to practice asana. But, I think, the way to go inside out is very interesting. And my master, Iyengar, has always had that opinion. People treated doing asana as if it equals the body and then he feels like nobody understands him. The trick of doing asana as not a spiritual one. So, he got very angry…Being spiritual and being understood could be a good combination. As a teacher, what would be your wishes to the readers of the “Wild Yogi” magazine? Richard: Well, one of my wish is that they take their strong spirit and get to practice!